A brand new, low carbon energy training campus in Llangefni on Anglesey has been opened by Wales First Minister Carwyn Jones, with the capacity to train up to 600 students. The Coleg Menai skills and training facility will be a fantastic resource and will help meet the expected skills demand arising from the exciting new energy projects proposed for the island economy. 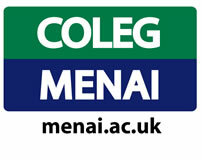 Skills acquired by students signed up for the courses at Coleg Menai will be just what the expected renewable and nuclear energy programmes are looking for, and will answer the often expressed concerns about securing posts for local people. This is very much joined up thinking, bringing the skilled workforce together with the capital investment made by consortia such as Horizon Nuclear Power and Seagen Wales. The Llangenfi-based Coleg Menai energy campus is equipped with the latest low carbon equipment and technology, backed by a first class training environment. Also at the energy centre is a full suite of the latest welding and fabrication equipment, as well as a business innovation centre. First Minister Carwyn Jones hailed this fantastic initiative as a key part of Anglesey's long term strategy of achieving its Energy Island status, by offering specialised training in energy sector-specific skills. As Mr Jones noted, " Wales once led the world in carbon-based energy, and now our goal will be to achieve the same using low carbon energy. This centre means we wil have the talented people ready to contribute to the hugely important energy sector in North West Wales." Anglesey Energy Island Director, Sasha Wyn Davies, hailed Coleg Menai's "real vision and commitment" in making the most of the undoubted new opportunities coming from both the existing nuclear power station as well as Horizon's proposed new reactors at Wylfa B. Local MP Albert Owen, a long time advocate of the Energy Island theme, welcomed the boost this facility will provide in "jobs for local people." this is great news for young people in Anglesey and Bangor area.